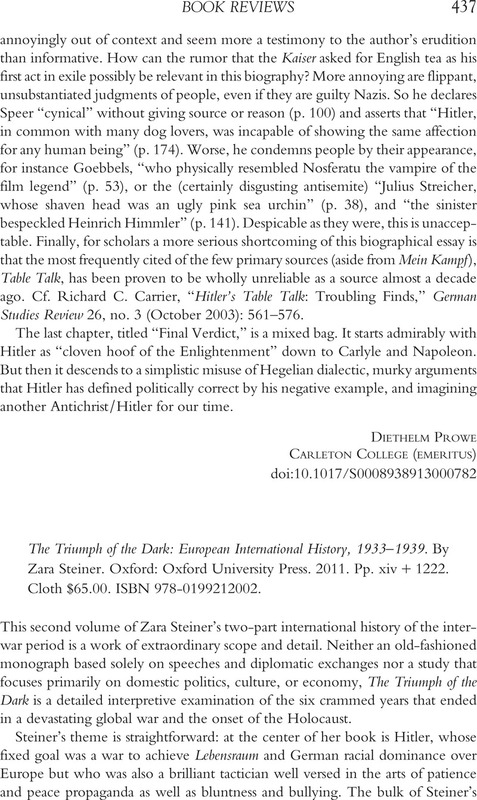 The Triumph of the Dark: European International History, 1933–1939. By Zara Steiner. Oxford: Oxford University Press. 2011. Pp. xiv + 1222. Cloth $65.00. ISBN 978-0199212002.